You gotta admit...cats can be pretty cool creatures. They are indpendent animals who don't let anyone - not even you - push them around. They don't need your affection, but you know you'll give it to them if they want it. They stay up late, sleep all day and could care less what the dumb dog is up to. 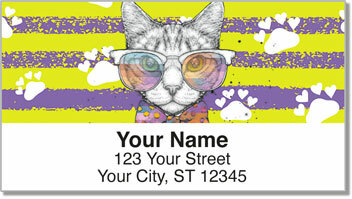 The cartoon cats on this fun set of return address labels are even sporting shades! It's a fun way to finish off your letters and packages, and it will also save you a ton of time. 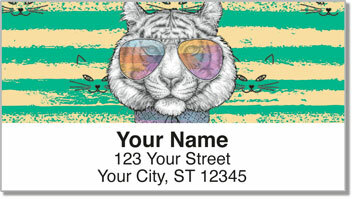 Since these are self-adhesive labels, all you have to do is peel and place one on anything you stick the mailbox. Now that's cool! 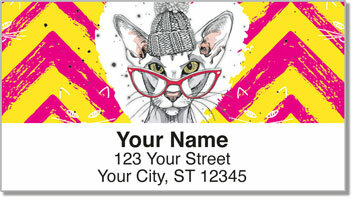 Make our Cool Cat Address Labels yours right now! 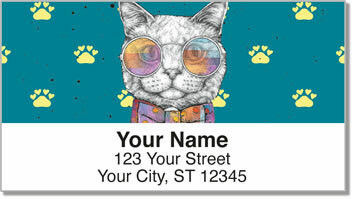 You can also order matching personal checks.